Here artists from the East and the West will come together and define "Art". Artworks from famous Chinese Artists, European and Western Artists, and also local Houston artists will be shown. We hope you enjoy this site and please feel free to contact the local artists regarding their paintings. 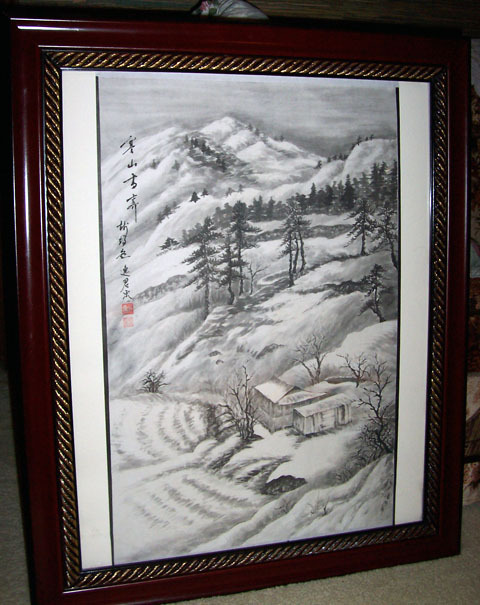 Hand painted, one of a kind traditional Chinese paintings. Come and see more. If you like them, you can even buy it. Baroque Art developed in Europe around 1600, as an reaction against the intricate and formulaic Mannerism that dominated the Late Renaissance. Baroque art is less complex, more realistic and more emotionally affecting than Mannerist art. This movement was encouraged by the Catholic Church, the most important patron of the arts at that time, being seen as a return to tradition and spirituality. Romanticism might best be described as anticlassicism. A reaction against Neoclassicism, it is a deeply-felt style which is individualistic, exotic, beautiful and emotionally wrought. Although Romanticism and Neoclassicism were philosophically opposed, they were the dominant European styles for generations, and many artists were affected to a lesser or greater degree by both. Artists might work in both styles at different times or even combine elements, creating an intellectually Romantic work using a Neoclassical visual style, for example. Expressionism is a style in which the intention is not to reproduce a subject accurately, but instead to portray it in such a way as to express the inner state of the artist. The movement is especially associated with Germany, and was influenced by such emotionally-charged styles as Symbolism, Fauvism, and Cubism. Contemporary Realism is the straightforward realistic approach to representation which continues to be widely practiced in this post-abstract era. 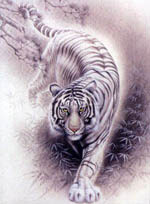 It is different from Photorealism, which is somewhat exaggerated and ironic and conceptual in its nature. Contemporary Realists form a disparate group, but what they share is that they are literate in the concepts of Modern Art but choose to work in a more traditional form. Many Contemporary Realists actually began as abstract painters, having come through an educational system dominated by an professors and theorists dismissive of representational painting.